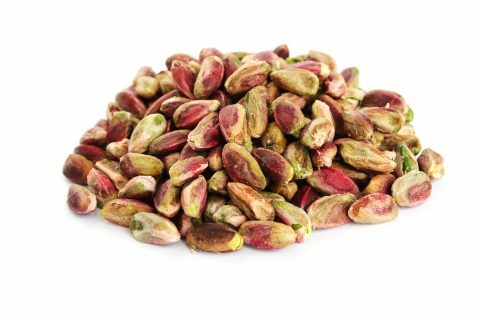 Pistachios have been carbon dated to 6760 BC. It probably is native to Iran and is one of two nuts mentioned n the Old testament. They are also said to have featured in the Hanging gardens of Babylon built about 700 BC by King Nebuchadnezzar to cheer up his wife ! Whilst Iran, where the nut is called “the smiling pistachio” Turkey and Syria have been large produces of the nuts, in the past twenty years or so, the pistachio nut has also been largely planted and produced in Mexico, Arizona and California, currently the worlds’ second largest producer of pistachios. Pistachios are high in iron and potassium, are 20% protein and rich in Vitamin B6.